Lovely ... Flower engraved headboard. Queen size. Please note: We also have matching night tables and a gorgeous armoire in this design. 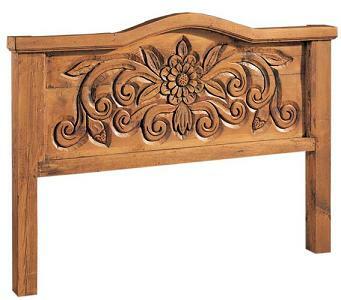 Unique hand-carved flower design makes this headboard a charming addition to your Mexico bedrooms. 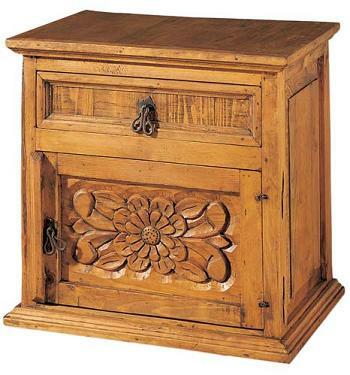 Solid pine wood featuring a lovely flower design invites botanical natural elements into your Mexican bedroom. Sweet dreams! 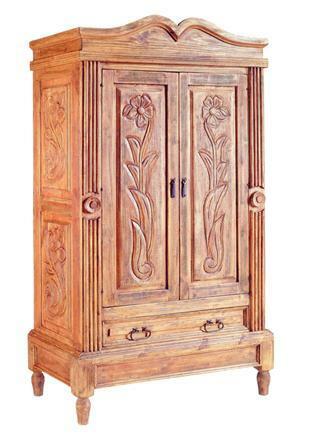 Please note: We also have matching night tables and a gorgeous armoire in this design.